In a campaign described as “creative and somewhat ambitious”, Aussie ice-cream brand Streets managed to jump aboard the triple j Hottest 100. The brand behind Bubble O’Bill, Golden Gaytime and Splice also made a donation to the countdown’s charity partner, Lifeline. Helped no doubt by the heatwave throughout the country on the day, The Coolest 100 was created by its parent company Unilever with agencies PHD, Mango Communications and DDB Sydney. Over eight hours, as triple j unveiled each song, Streets responded with a piece of comic relief content tailored for that release, and posted it on its Facebook page. For Childish Gambino’s ‘This Is America’ there was a map pointing at ‘This is Australia’. When Ocean Alley’s ‘Confidence’ took the top spot, Bubble O’Bill was right there for the moment, chortling “All about confidence, baby”. 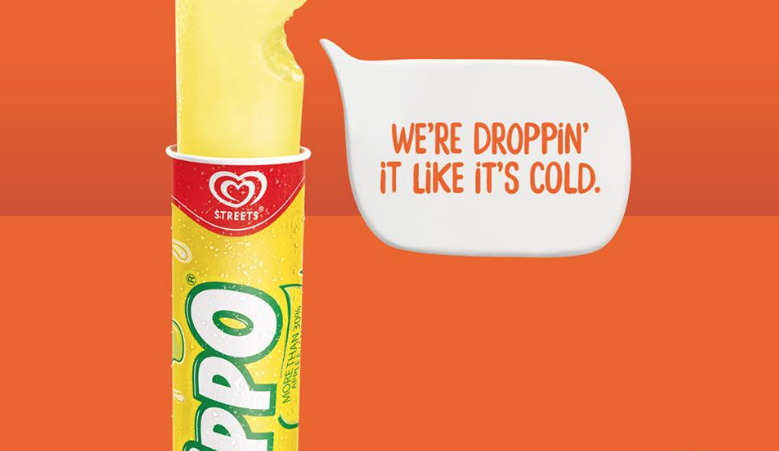 Ad News quoted Paul Connell, GM and marketing director of refreshments at Unilever ANZ: “Both triple j’s Hottest 100 and Streets Ice Cream are synonymous with summer. “We loved the idea of having some fun as Aussies listened along and letting our Talking Ice Creams have a chat as only they can. In the wake of the Ocean Alley win, triple j Unearthed followed up with five acts that Ocean Alley fans would also like. They were Canberra’s Young Monks, Perth’s Dulcie, Adelaide’s Chiara La Woo, Vanilla Gorilla from the Mid North Coast of NSW, and Loose Bricks from Mildura in regional Victoria.